On Monday we cooked up some delicious Italian Turkey-Capocollo Meatballs…with the leftover meatballs we made some fantastic meatball sandwiches. 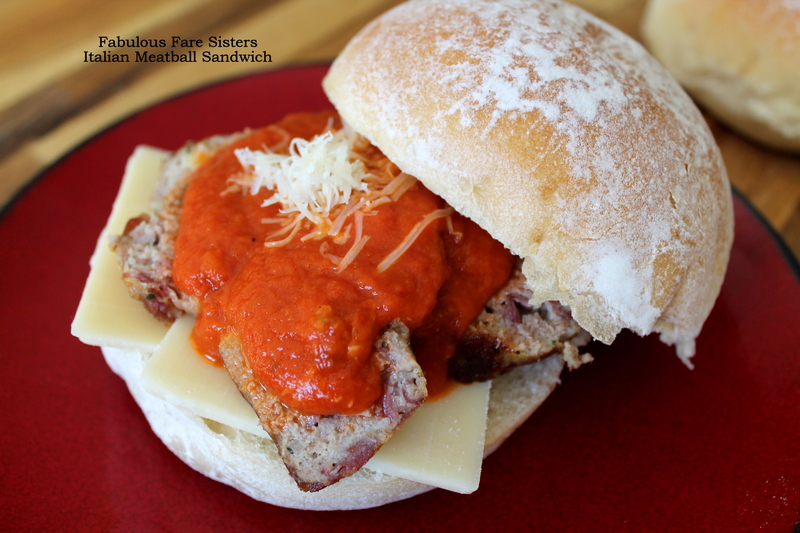 A hearty sandwich filled to the brim with freshly sliced Parmesan cheese, Italian Meatballs, sauce & grated Parmesan. We love our Wawa meatball sandwiches but ‘Man, oh Man’ were these so much better! Slice the Italian Turkey-Capocollo Meatballs and fresh Parmesan cheese to desired thickness. Heat up the sauce. This recipe has been shared on Senior Salon, FoodieFriDIY and The Pin Junkie….go check it out and then go visit some other great sites! I love your food photography….Keep posting more..
Yummy! I never think of making a meatball sandwich. Your sandwich looks amazing Linda! My husband would melt into a million pieces over this one..can’t wait to try it! I love me some meatball sandwiches and these look delish! Thanks so much! Looks delicious! Maybe a little veg ingredient will make it more “well-rounded”? Just a thought. And I was gonna make meatballs this weekend!! Meatballs are just …. they’re just everything. Wow! Sounds like the perfect meal! Lovely pictures!